I'm a graduate student and researcher in the Parsimonious Modelling group at Aalto University School of Science. A. G. Bunn, E. Jansma, M. Korpela, R. D. Westfall, and J. Baldwin. Using simulations and data to evaluate mean sensitivity (ζ) as a useful statistic in dendrochronology. Access through the DOI system. M. Korpela, P. Nöjd, J. Hollmén, H. Mäkinen, M. Sulkava, and P. Hari. Photosynthesis, temperature and radial growth of Scots pine in northern Finland: identifying the influential time intervals. Trees – Structure and Function, 25(2):323–332, April 2011. M. Korpela, H. Mäkinen, P. Nöjd, J. Hollmén, and M. Sulkava. Automatic detection of onset and cessation of tree stem radius increase using dendrometer data. P. Nymark, P. M. Lindholm, M. V. Korpela, L. Lahti, S. Ruosaari, S. Kaski, J. Hollmén, S. Anttila, V. L. Kinnula, and S. Knuutila. Gene expression profiles in asbestos-exposed epithelial and mesothelial lung cell lines. Full text free on BioMed Central. M. J. Brewer, M. Sulkava, H. Mäkinen, M. Korpela, P. Nöjd, and J. Hollmén. Logistic fitting method for detecting onset and cessation of tree stem radius increase. In H. Yin, W. Wang, and V. Rayward-Smith, editors, Intelligent Data Engineering and Automated Learning – IDEAL 2011: 12th International Conference, Proceedings, volume 6936 of Lecture Notes in Computer Science, pages 204–211, Norwich, UK, September 2011. University of East Anglia, Springer-Verlag. M. Korpela, P. Nöjd, J. Hollmén, H. Mäkinen, M. Sulkava, and P. Hari. Daily temperature and daily photosynthetic production vs. Scots pine growth. 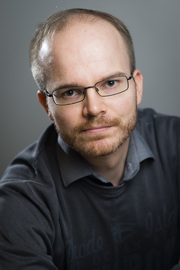 In K. Mielikäinen, H. Mäkinen, and M. Timonen, editors, WorldDendro 2010. Abstracts of The 8th International Conference on Dendrochronology, page 261, Rovaniemi, Finland, June 2010. M. Korpela, H. Mäkinen, M. Sulkava, P. Nöjd, and J. Hollmén. Smoothed prediction of the onset of tree stem radius increase based on temperature patterns. In J.-F. Boulicaut, M. R. Berthold, and T. Horváth, editors, Discovery Science, Proc. 11th Intl. Conf., DS 2008, volume 5255 of LNAI, pages 100–111. Springer, 2008. Access through the DOI system. Local copy. M. Korpela and J. Hollmén. Extending an algorithm for clustering gene expression time series. In J. Rousu, S. Kaski, and E. Ukkonen, editors, Probabilistic Modeling and Machine Learning in Structural and Systems Biology (Workshop Proceedings, Tuusula, Finland, June 17–18, 2006), number B-2006-4 in Series of Publications B, pages 120–124, Helsinki, Finland, 2006. University of Helsinki. M. Korpela. Analysis of changes in gene expression time series data. 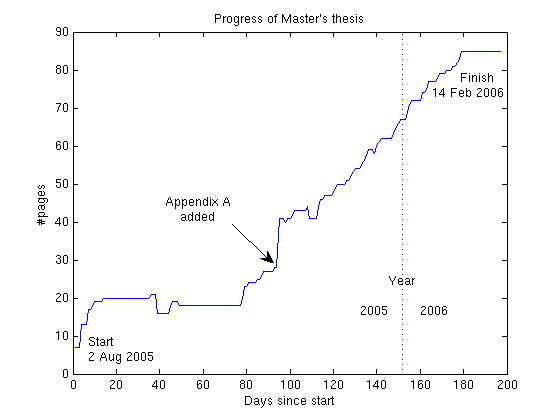 Master's thesis, Helsinki University of Technology, Finland, Feb. 2006. In Program and Abstracts, TIES 2008 – The 19th Annual Conference of The International Environmetrics Society, page 55, Kelowna, Canada, June 2008. The International Environmetrics Society, The University of British Columbia Okanagan. I am the author of sisal, an input selection package for R.
I have contributed to the development of dplR, a tree-ring analysis package for R.
Smaller piece(s) of R code written by me may be found at GitHub. A colorbar implementation is included. A script for creating printable name tags can also be downloaded from GitHub. I wrote an enhancement addressing missing features in parts of the I/O subsystem of R. The patch was not included in the R distribution, but anyone interested in using seek() with a non-default encoding may want to take a look at my proposed solution. Before including my code in your self-compiled R, be sure to examine its compatibility with the version of R you are using and make any necessary adjustments.